We have already covered place of supply of goods, place of supply of general services, place of supply for specific services in our previous articles. In this article, we will discuss the place of supply of mobile connection and other telecommunication along with numerous examples. If the leased circuit is installed in more than one State then all the states will be considered as place of supplies in proportion to the value of services. The states will share GST in proportion to the value of services. As you can observe, in all the cases of telecommunication services, the supply is intrastate. This is because service providers will now need to register in every state where they supply taxable services. How our software can help you? ClearTax GST Software will make your life much easier. For your sales invoices, you do not have to calculate the place of supply each and every time. All you need to do you see enter the details of your buyer in the contacts master. You can use ClearTax Bill Book to generate sales invoices. 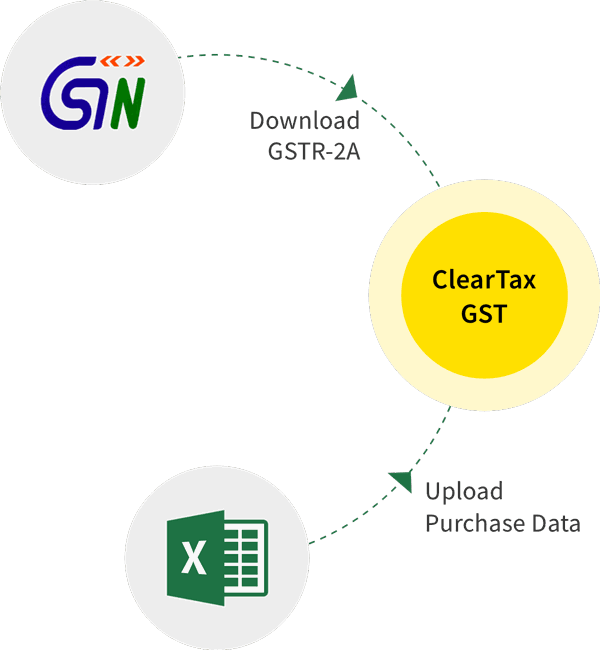 Based on you buyer’s and your GSTIN the software will automatically calculate the place of supply according to the provisions and inform you whether you will charge CGST/SGST or IGST. For your purchases invoices, all you need to do is upload the excel copy of your purchase invoices. The software will do the rest.